Which One is the Best Micromax Smartphone to Buy? You are here: Home / Micromax / Which One is the Best Micromax Smartphone to Buy? Micromax has been launching many devices since two years and most of them are the android smartphones. All the devices have done well for the Micromax which made it emerged as a budget android phone brand. Now as there are lots of Micromax smartphones being available so confusion starts easily when users look at all the available devices. Everyone wants to have a best mobile phone and when it comes to Micromax then they don’t worry about the price because it’s going to be in their budget. The best Micromax smartphones till now is the Canvas series devices. All the devices are doing well in the Canvas section and right now there are three devices available. Micromax Canvas HD A116 and Canvas 2 A110 are already doing well but as the time goes on technology upgrades and that’s why these smartphones are no longer in the best category. 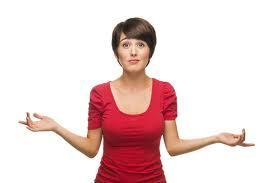 I’ve seen lots of people asking for which one is the best Micromax smartphone to buy right now. According to me, the best smartphone right now is the one which Micromax recently announced before few days. This smartphone is an updated Canvas 2 in which they have updated the processor and android version. Recently Micromax A110Q Canvas 2 was seen on the official company website and this device is going to have quad core processor and it will run on android 4.2 Jelly Bean. Both the features are very impressive that’s why Micromax A110Q Canvas 2 device is the best Micromax smartphone to buy right now. I’m recommending A110Q Canvas 2 smartphone as the best Micromax smartphone in today’s scenario because it got quad core processor and runs on Jelly Bean 4.2 which is the latest version of android available till now. Micromax has announced A110Q Canvas 2 smartphone at only Rs 12k ($230) which makes it a budget smartphone. Now you’re getting Jelly Bean 4.2 OS running smartphone controlled by quad core processor at this price. Other design and features are almost same as of Canvas 2 A110 which was having dual core processor and running on android 4.0.4 ICS. Micromax has just updated that smartphone with quad core processor and Jelly Bean 4.2 OS. 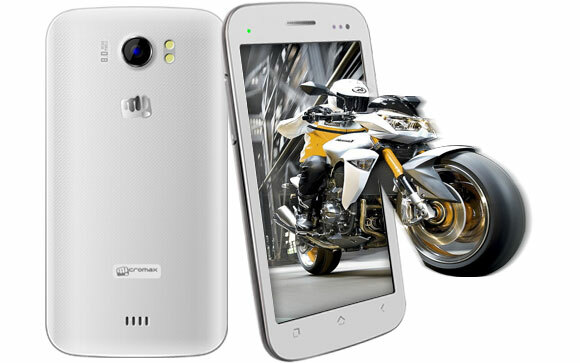 Availability of Micromax A110Q Canvas 2 will take one more week and you’ll see it very soon in the market. No doubt, this smartphone will taste the success graph as it got lots of good features which smartphone users look for. Currently Micromax A210 Canvas 4 is the best Micromax Smartphone to Buy, you can read full specification over here. Also you should read Why you should buy Micromax A210 Canvas 4? Do let us know via comments which Micromax Smartphone is best according to you. Micromax Phones are really budget friendly phones but I don’t know whether it is a right option to buy one, although I own a Micromax funbook and it is really nice. It depends on your budget, if it is low then Micromax is the best option but if you’re not much aware about the money part then there are lots of big brands hunting in the market. Cheers! Offcourse Micromax A110Q Canvas 2 Specs is worth of money. I am planning to buy an Android Smartphone. It is good to know that Canvas 2 Plus A110q comes with the latest 4.2 JB along with a Quad-Core Processor. I even made up my mind buying this phone. But, i’m sort of confused coz there are 1 or 2 devices in the market which i like too, apart from MMX Canvas 2 Plus. Namely, Samsung Galaxy Grand Quattro Duos. Its features are not so good as compared to MMX Canvas 2 Plus. Samsung Grand Quattro has Android 4.1 with 5 MP Camera and 4.7 inch Screen. But, the thing that matters is the Brand Value, Service & its Quality of Phones.